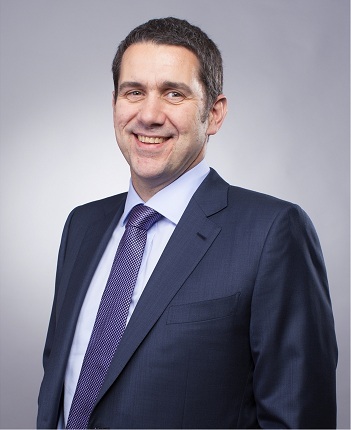 Ericsson (NASDAQ:ERIC) today announced that effective August 1, 2015, Chris Houghton is appointed Head of Region North East Asia, reporting to the Chairman of Region North East Asia and Senior Vice President Asia-Pacific, Mats H Olsson. Houghton will be responsible for Ericsson's operations in Region North East Asia, covering the markets of Hong Kong, Macau, Mainland China, Japan, South Korea and Taiwan. He will remain a member of Ericsson's Global Leadership Team (GLT) to which he was appointed in June 2013. President and CEO Hans Vestberg says: "With several markets in the region at the forefront of LTE and ICT development, Region North East Asia is strategically important to Ericsson." "With his broad experience Jan Signell has for many years, and during a very transformational period in the region, contributed strongly to building Ericsson's position. Signell and his team have established a leading position across the region and across technologies." "I am pleased that Chris Houghton will now continue this work. Chris brings extensive experience from a variety of markets, including Japan. Together with his team he will work to ensure that we continue to forge strong partnerships with our customers across the region." Speaking of the appointment Houghton says: "Ericsson Region North East Asia is one of the biggest regions in Ericsson with some of the world's most technologically advanced operators and tech-savvy customers. Ericsson has facilitated the development of ICT in the region for more than 120 years. I am excited to lead the region and determined to continue to support our customers on their transformation journey in the Networked Society." Prior to being appointed Head of Region India in June 2013, Houghton was Head of Customer Unit UK and Ireland and Managing Director of Ericsson UK, responsible for Ericsson's business in the UK and Ireland. He has worked for Ericsson for 27 years, and prior to relocating to the UK he held senior positions in Hungary, Japan and Sweden. Houghton succeeds Jan Signell, who has decided to leave Ericsson to pursue opportunities outside the company. Signell will remain available to Ericsson, working on special assignments out of the Hong Kong office reporting to Mats H Olsson, until January 31st, 2016, when he will formally leave the company.